The Council on Hemispheric Affairs (COHA) applauds the declaration of the Organization of American States issued yesterday, “Solidarity and Support for Democratic Institutions, Dialogue, and Peace in the Bolivarian Republic of Venezuela.” The statement represents a complete repudiation of the Venezuelan far right’s coup strategy and offers a powerful endorsement for the democratic process. In its statement the OAS voiced its support for the steps taken by President Nicolas Maduro in convening a national peace conference. During the presidency of Hugo Chávez, Venezuela led the way in the creation of Latin American organizations that championed regional independence and integration. Through CELAC, UNASUR, and ALBA Latin America came together in new organizations that specifically excluded the United States and Canada. The OAS therefore stood at the crossroads during its closed-door discussions in Washington yesterday: continued relevance or obsolescence. CELAC had already issued a statement insisting that the region be a zone of peace and mutual respect among nations, and next week UNASUR is likely to declare its solidarity with the Venezuelan government. Therefore, OAS Secretary General José Miguel Insulza’s leadership in drawing together the support for this important declaration was vital for maintaining OAS significance in inter-American affairs. However, Washington has been consistently one-sided regarding Venezuela, providing unyielding support for the opposition. Under President George W. Bush the U.S. eagerly backed the short-lived 2002 coup against the constitutional order. More recently, Washington refused to recognize the presidency of Nicolas Maduro after the April 2013 elections. And over the past month, Secretary of State John Kerry’s pronouncements on Venezuela have shown a highly selective indignation at the violence in the country. The U.S. stance has had the practical effect of buttressing the “exit” strategy that is preferred by the golpistas, even as this approach is roundly rejected by a large majority of Venezuelans, left and right, who want peace and respect for the constitution. 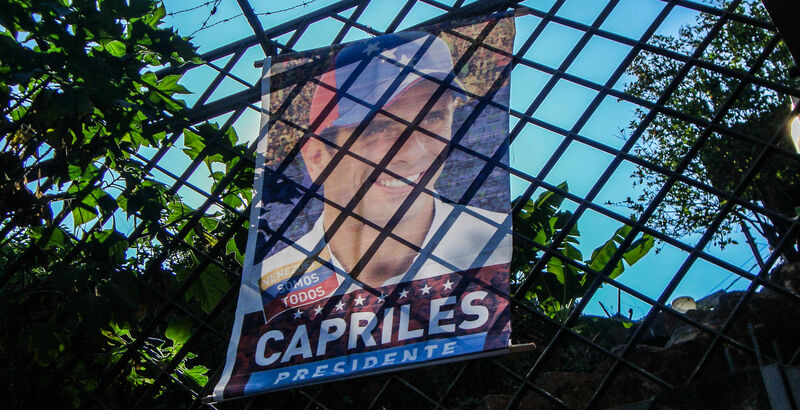 Even the right-wing popular front strategy of Venezuelan opposition leader Henrique Capriles is disavowing the violence at the barricades. 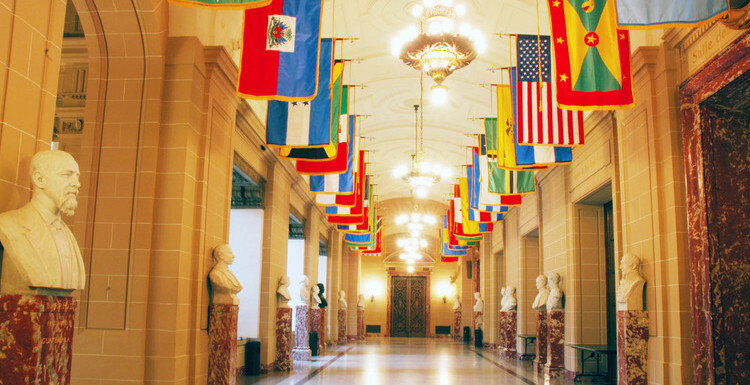 As the OAS action has made plain, the U.S. is increasingly isolated in the region. The OAS has joined the other hemispheric organizations in a rather stunning verdict. The United States is increasingly ignored because its views and policies stand in opposition to those who would support independent and authentic democracies that advance social and economic justice.